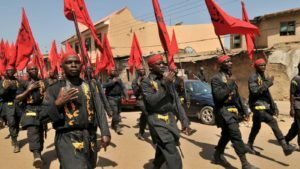 Kaduna (Nigeria) — The Islamic Movement in Nigeria (IMN) also known as Shi’ite has said it would not be intimidated by the declaration of the Kaduna state government banning its activities in the state, declaring its society as unlawful. The Kaduna state governor, Nasir El-Rufai had on Friday issued a statement banning the activities of the IMN, declaring the society as unlawful. The statement also noted that, any IMN (Shi’ite) member that goes against the provisions of the law risks 7 years imprisonment. Secretary of the IMN Media Forum Abdulmumin Giwa, while reacting to the declaration said, the declaration did not come as a surprise to them. He pointed out that, government is trying to push them to violent actions which the group has been avoiding. According to him, “What the government has been trying to do is to push us to violent and mob action which we have been averting. For the past 10 months, we have conducted our activities peacefully despite the fact that our people have been killed and buried; our leader put in detention since last December without any charge. So now I don’t see any logical reason why the government will wake up one day and declare us banned, except that was the initial plot of why they attack us. “We will continue with our activities (Ashura, Arbaeen trek, Maulud) as usual because they are embedded within the concept of the religion we practice. There is provision in the law to freedom and practice of one’s religion, as such our activities cannot be stopped,” he emphasized. 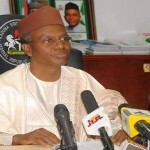 El-Rufai through his spokesperson Samuel Aruwan in the statement said the action is taken in the exercise of the government’s duty to preserve peace and security in the state, and to ensure that all persons and groups are guided by lawful conduct and with due allegiance to the Nigerian state and its Constitution. The statement further noted that, the Kaduna state executive council approved the making of this order following deliberations at its meeting of Thursday, 06 October 2016. Below is the complete statement of the Kaduna state government. 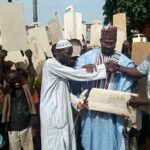 The Kaduna State Government has issued an Order declaring the Islamic Movement in Nigeria (IMN) an unlawful society. This action is taken in the exercise of the government’s duty to preserve peace and security in the state, and to ensure that all persons and organisations are guided by lawful conduct and with due allegiance to the Nigerian state and its Constitution. The Kaduna state executive council approved the making of this order following deliberations at its meeting of Thursday, 06 October 2016. The Order, which has been signed by the Governor, draws on powers vested by the Constitution and the laws of Kaduna State. Section 45 (1) of the Constitution categorically vests in the Governor the powers to take such measures and actions as are necessary for the promotion and protection of: public safety, public order, public morality or public health; orthe rights and freedom of all persons in Kaduna State. “The Declaration Order noted that since the regrettable events in Zaria which resulted in the loss of 347 lives, the IMN “has overtly continued with unlawful processions, obstruction of public highways, unauthorized occupation of public facilities including schools without regard to the rights of other citizens and the public peace and order of the State”. The Order noted that “these acts, if allowed to go unchecked will constitute danger to the peace, tranquillity, harmonious coexistence and good governance of Kaduna State”.